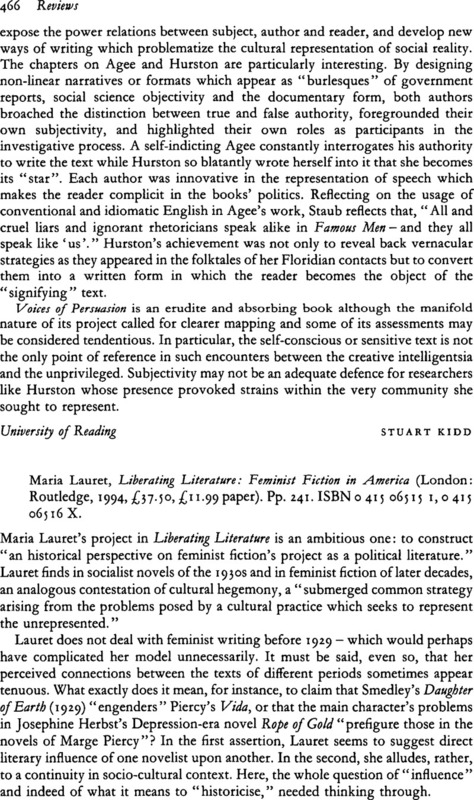 Maria Lauret, Liberating Literature: Feminist Fiction in America (London: Routledge, 1994, £37.50, £11.99 paper). Pp. 241. ISBN 0 415 06515 1, 0 415 06516 X.